NEW YORK & SAO PAULO--(BUSINESS WIRE)--Lightweight metals leader Alcoa (NYSE:AA) today announced a long-term contract with Embraer – the leading manufacturer of commercial jets up to 130 seats – valued at approximately $470 million. Under the multiyear agreement, Alcoa will supply aluminum sheet and plate for Embraer’s new E2s, the second generation of its E-Jets family of commercial aircraft, a narrow-body medium-range jet airliner. The Embraer E-Jets E2 were launched at the Paris Airshow in 2013 and are scheduled to enter into service in 2018. Embraer chose Alcoa’s proprietary alloys for the E2 due to the combination of strength, corrosion resistance and fatigue resistance that they offer. According to Embraer, the market segment that the new E2 program was designed to serve is projected to require 6,350 new aircraft over the next 20 years. 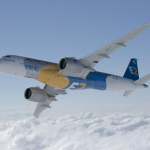 In addition, Embraer also stated that it has more than 50 percent market share by orders with the current E-Jet and expects to maintain similar levels with the new E-Jets E2 aircraft. The long-term agreement makes Alcoa sole supplier to Embraer for proprietary wing skins and fuselage sheet on the E2 line of jets. Other Alcoa plate products, used in key applications such as wing ribs, fuselage frames and other structural parts of the aircraft, are also part of the contract and will be featured on the E2 as well as Embraer’s KC-390 military transport aircraft and executive jets. Alcoa has developed most of the aluminum aerospace alloys to ever take flight, and every major new aircraft program incorporates Alcoa’s product innovations. The Alcoa/Embraer partnership draws on the aerospace manufacturing capabilities of Alcoa’s Global Rolled Products business, supplying Embraer from its plants in Davenport, Iowa, and Kitts Green, United Kingdom. Alcoa products can also be found on other parts of the E2 aircraft: the state-of-the-art Pratt & Whitney PurePower® engine. Alcoa already supplies key parts for the PurePower® engines, including the forging for the first ever aluminum fan blade. Alcoa’s aerospace businesses will form part of Arconic – Alcoa’s new Value-Add company – to be launched following Alcoa’s separation in the second half of 2016. Arconic will be a differentiated supplier to the high-growth aerospace industry with leading positions on every major aircraft and jet engine platform, underpinned by market leadership in aerospace structures, jet engine and industrial gas turbine airfoils, and aerospace fasteners. The separation remains subject to the satisfaction of certain conditions, including obtaining final approval from the Alcoa Board of Directors, receipt of a favorable IRS ruling and opinions of Alcoa’s tax advisors regarding certain U.S. federal income tax matters and the effectiveness of the Form 10. A global leader in lightweight metals technology, engineering and manufacturing, Alcoa innovates multi-material solutions that advance our world. Our technologies enhance transportation, from automotive and commercial transport to air and space travel, and improve industrial and consumer electronics products. We enable smart buildings, sustainable food and beverage packaging, high-performance defense vehicles across air, land and sea, deeper oil and gas drilling and more efficient power generation. We pioneered the aluminum industry over 125 years ago, and today, our approximately 58,000 people in 30 countries deliver value-add products made of titanium, nickel and aluminum, and produce best-in-class bauxite, alumina and primary aluminum products. For more information, visit www.alcoa.com, follow @Alcoa on Twitter at www.twitter.com/Alcoa and follow us on Facebook at www.facebook.com/Alcoa. Alcoa intends to make future announcements regarding Company developments and financial performance through its website on www.alcoa.com. This release contains statements that relate to future events and expectations and as such constitute forward-looking statements within the meaning of the Private Securities Litigation Reform Act of 1995. Forward-looking statements include those containing such words as “anticipates,” “estimates,” “expects,” “may,” “plans,” “projects,” “should,” “will,” “would,” or other words of similar meaning. All statements that reflect Alcoa’s expectations, assumptions or projections about the future, other than statements of historical fact, are forward-looking statements, including, without limitation, statements regarding the separation transaction and projections regarding growth of the aerospace and other end markets. Forward-looking statements are not guarantees of future performance and are subject to risks, uncertainties, and changes in circumstances that are difficult to predict. Although Alcoa believes that the expectations reflected in any forward-looking statements are based on reasonable assumptions, it can give no assurance that these expectations will be attained and it is possible that actual results may differ materially from those indicated by these forward-looking statements due to a variety of risks and uncertainties. Such risks and uncertainties include, but are not limited to: (a) uncertainties as to the timing of the separation and whether it will be completed; (b) the possibility that various closing conditions for the separation may not be satisfied; (c) the outcome of contingencies, including legal proceedings; (d) unfavorable changes in the markets served by Alcoa, including the aerospace market; and (e) the other risk factors discussed in Alcoa’s Form 10-K for the year ended December 31, 2015, and other reports filed with the U.S. Securities and Exchange Commission. Alcoa disclaims any obligation to update publicly any forward-looking statements, whether in response to new information, future events or otherwise, except as required by applicable law. Market projections are subject to the risks discussed above and other risks in the market. 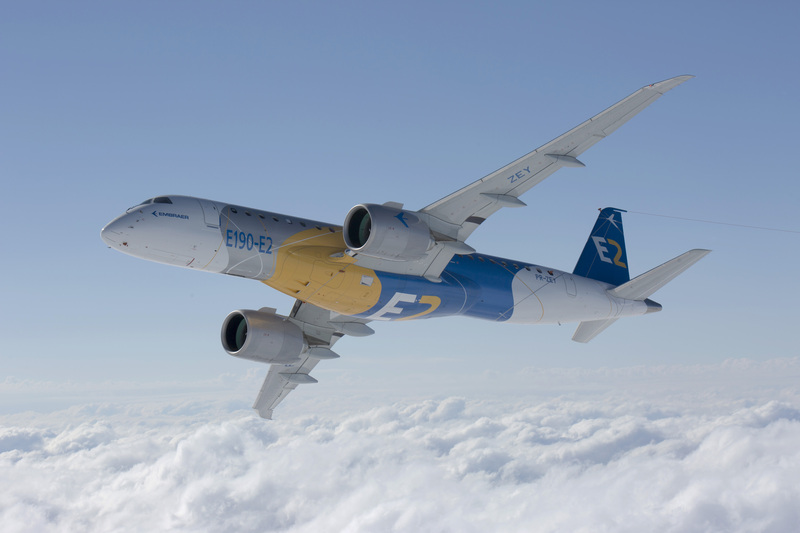 Alcoa signed a $470 million contract with Embraer to supply aluminum sheet and plate for Embraer's new E2 aircraft.